Mumbai: IDBI Bank Ltd raised RMB 650 million (around $102 million) by selling dim sum bonds, or fixed-income securities denominated in the Chinese currency, which the lender claimed is the first of its kind from India and will enable it to give more loans outside the country. The fund raising is part of IDBI Bank’s $1.5 billion medium-term notes programme (MTN). An MTN programme allows a bank to raise funds on an ongoing basis through different products such as floating-rate notes and fixed-rate bonds. Under its MTN programme, IDBI bank has so far raised around $450 million that has left the lender with a headroom of around $1 billion, Sitaram said. IDBI bank has sold the bonds for a maturity of three years and at a fixed coupon rate of 4.5% a year. Hongkong and Shanghai Banking Corp. Ltd acted as the sole adviser to the bond sale. The sale was closed on Friday. IDBI has tapped overseas markets for funds at a time when international markets are passing through a period of uncertainty on account of the debt crisis in euro zone nations. IDBI is one of the few Indian banks that has tapped the overseas markets with MTN bonds. Analysts said raising money from developed markets is likely to become difficult for Indian lenders because of uncertainties in global markets. 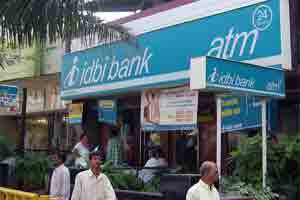 “IDBI has raised money at a pretty good cost from a less tapped market. For other banks, their ability to raise money abroad will depend on their individual ratings though Moody’s rating action is unlikely to pave major roadblocks," said Hatim Broachwala, an analyst at Fortune Financials, a Mumbai-based brokerage.